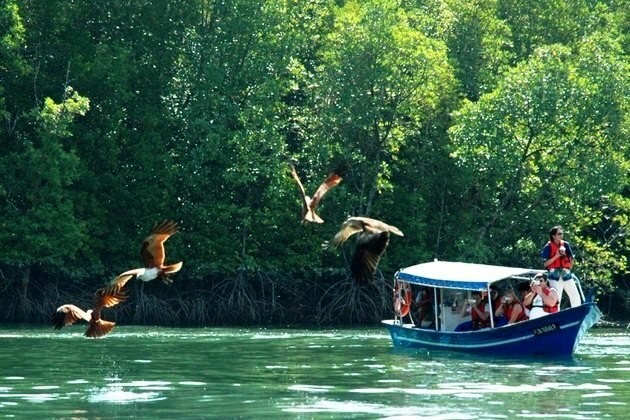 Delve into the natural kingdom of spectacular mangrove forests in Tanjung Rhu fishing village in this exciting 1-day Langkawi sightseeing tour. 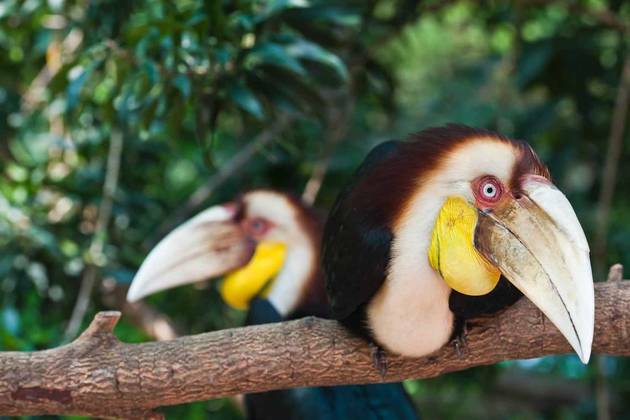 Discover breathtaking limestone caves and sandy beaches, along with exotic flora, fauna and creatures. It’ll be like an escape to another world! 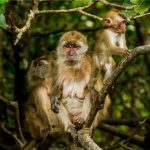 After pickup from Langkawi Cruise Port, you’ll be taken to Tanjung Rhu fishing village, home to Malaysia’s amazing wildlife diversity. 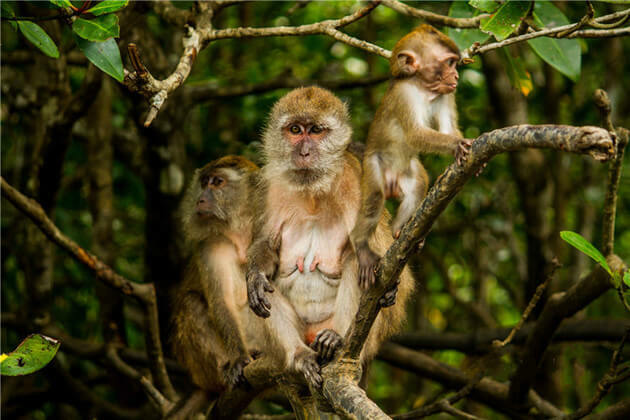 Board a comfortable boat to cruise the limestone cave and hidden canyons, passing by monkeys, lizards, kingfishers crowding along the riverbanks. 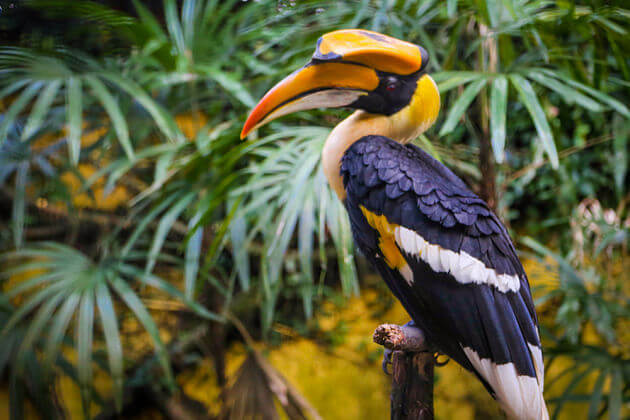 Venture deeper into Langkawi’s mangrove forest and you’ll discover many more special floras, fauna and wildlife species hidden within Malaysia’s most interesting ecosystem. 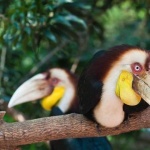 After a scrumptious seafood lunch at a fish farm restaurant, visit a bat cave with chances to see interesting creatures. 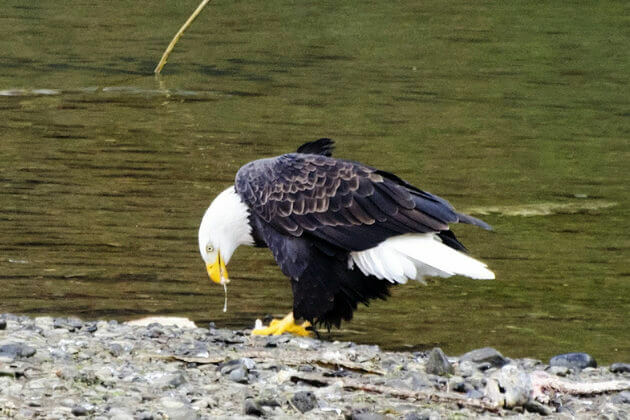 Watch three different species of protected eagles being fed. 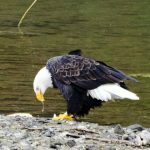 Have your camera ready to snap some good shots of eagles in their natural habitat. In the mid-afternoon, you’ll be sent back to the port in good time for your cruise departure. Trip ends. What is the cost and duration of your excursions? Are they available on March 3, 2015? This would be for 2 people. Thank you for your request. 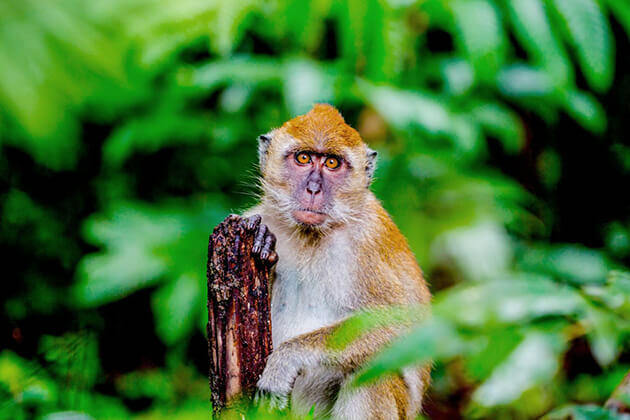 The detailed quotation of the Malaysian shore excursion has been sent to your email for perusal. Please let us know if you have any further enquiries. My wife and I are cruising on Mariner of the Seas and will visit Langkawi end of October. 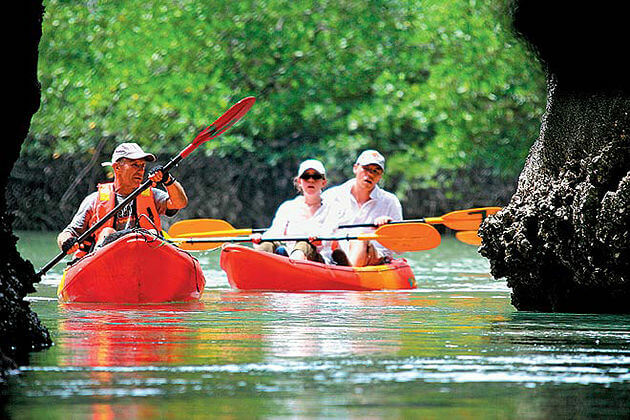 We are interested in this mangrove tour. Do you pick up at the cruise terminal and at what time ? What time are we back on the ship ? How long is the trip to the beginning of the mangrove tour ? How many people in 1 boat ? Is there time for a swim ? Is lunch included ? Does the driver / captain speak understandable English ? What is the price for this tour, for 2 adults ? Thank you for letting us know your travel plan. The detailed quotation for Langkawi shore excursion has already been sent to your email address. Kindly have a look at it and feel free to ask us any other questions. what is the cost for 2 people. we’ll arrive on 21 jan on Princess Sapphire at 8 am and depart at 5 pm. Thank you for reaching to us. Please check your email for detailed quotation of Langkawi shore trip. Feel free to ask us any question you may have. What is the cost and duration of ‘Mangrove safari’ ? Pick up and drop off Time ? Number of people in boat ? Thank you for your request. The price per pax is cheaper if there are more people joining the tour. 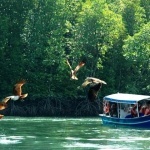 Please check your email for detailed quotation of this Langkawi Mangrove shore excursion. Kindly let me know if you need more information. Pick up & drop off area? Number of people on board? Thank you for letting us know your travel plan. Please take a look at the detailed schedule and quotation of this Langkawi shore trip which has already been sent to your email address. Feel free to ask us any question you still have.